Drink Coca Cola 1973 Issued Serving Tray measuring 13 1/4" x 10 3/4". 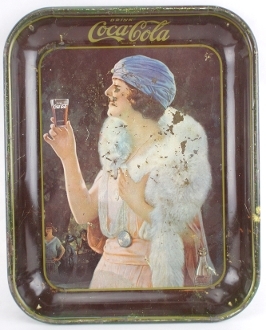 Graphic from a 1925 advertisement Lady toasting with a glass of Coca Cola. Finish has some damaged areas, Nice beginner collector tray.